The trash problem is unique to the rural, the number of garbage in the garden and even a village market in fact profitable for farmers, getting material for composting in the garden. Tofu-making industry in Sumedang hunted cattle ranchers, who want to get the waste, because waste from cattle feed tofu has a high protein for cattle. Rubbish, so the problem is when, the material remaining human activities considered to have no purpose anymore. This thought pattern can only be changed when a person or the community know the uses of various materials contained in the garbage. Community micro UPPKS in Bandung start recycling of packaging coffee products into unique bags, when knowing the character of the waste packaging was strong and could be sewn. Indeed, various waste materials, in line with the knowledge and research results, will have a new use if it is in units of a homogeneous, not mixed between one character and another character, and it must begin by sorting trash, based on its type. Separate garbage indutsri dried or non-organic (undegradable material) with natural or organic garbage (degradable material) in a plastic container. The purpose of this separation because the organic waste will rot in less than 24 hours (without aeration is good) so if incorporated with inorganic waste will make all the material is tainted and difficult to be recycled itself or by another party. Trash must be shielded from direct sunlight, rain, wind, and so forth. Dispose of trash in plastic or fiber containers are not sealed so as not to easily remove the unpleasant smell due to output metahana gas (CH4) and hydrogen sulfide (H2S). Trash must be secure from any interference, but easily accessible for the benefit of efforts to maintain cleanliness and waste recycling through composting. The limited information and understanding of the community will differences of organic waste (derived from living things) and industrial waste (inorganic), the correct bins must be accompanied by a description listing the names and pictures that allows all levels of society, including children learn to distinguish the two types of waste them. Public perception must also be changed, garbage odor because without oxygen (anaerobic), more than 20 hours will incur the smell. By closing the meeting, at the trash in a public place or a plastic bag, that's actually the base of the problem of the odor generated organic waste. Microbial pathogens are in action on the condition of waste without oxygen. So it was not because of the smell then shut down, but precisely because it closed, anaerobic reaction occurs, get out of pollutant gases (methane and sulfide hidrogrn) called as a foul odor. Trash, especially for groups of organic species, which is true is to have aeration for the entry of oxygen. 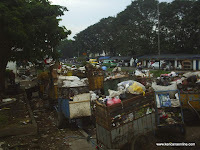 Trash disaggregated BerSeka presents all the interests above the health standard so it is worth being owned all the families in town who longed for life berseka. 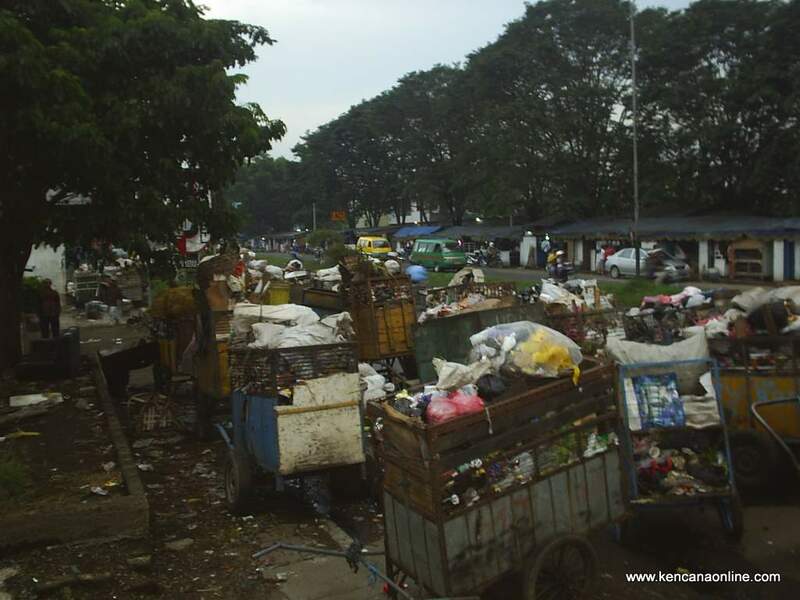 Berseka way of life is an effort to participation of the smallest neighborhood of the waste, namely the family. Berseka way of life, is the initial activity involved the family in overcoming the increasingly deteriorating environmental sanitation in urban areas as a result of maintenance of urban and extreme rainfall. help drainage and urban waste management is to break down the waste problem in urban areas through the efforts of recovery (reuse), reduce the incidence (reduse) and use it into a new form (recycle), and third efforts began by removing garbage separately based on its type ..
How Much and How Value Tool Installation Tool Solid Waste Management? 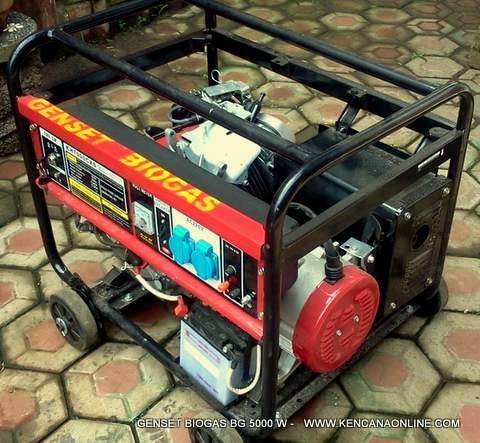 1 Unit Capacity Trash disaggregated (TST) is 5 liters, equivalent to the needs of a small household (5 persons) / day. The average garbage output in Indonesia, 2.6 liter / soul / day divided into 2 (two) types of waste (organic and inorganic) that reduced waste trash can outside a house in the calculation of organic waste wasted 5 lives in the house is 5 liters. from someone withh experience. Any help woulԁ be gгeatly appreciated!